Join other Caritas alumni to celebrate Caritas turning 50! More than 1,700 of us have taken the journey to explore our lives as a love story, a tale of God’s love for each of us – how God wants to share divine life and God’s dream for us, personally, uniquely, and intimately. Each Caritas advances our spiritual homecomings, individually and communally. Come, celebrate 50 journeys home through heartfelt conversations, dinner, and rekindling friendships. This time together as a Caritas family will help awaken the LoooOooove and unique graces that have been unfolding since our retreat weekends. It will also raise funds to help others come home to God and the Church! This fundraising event is family friendly! Please contact ThiThoa (tton@christusministries.org) if you have any questions about the day or concerns about accommodations available for you and your family. 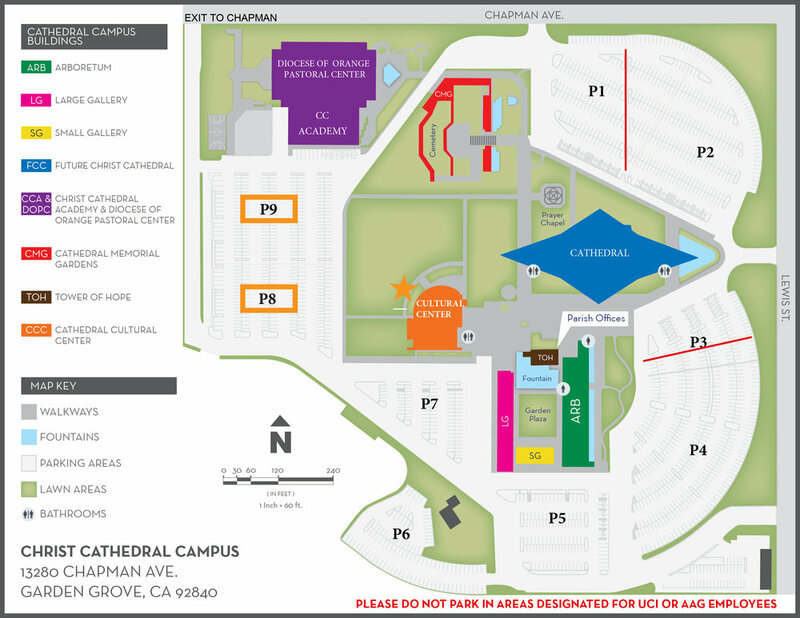 Parking: Please park in lot 8 or 9 and follow the Christus Ministries directional signs to the Cultural Center Terrace (map included below). 6:30 - 7:00 pm Awaken. Love. Anew. Thank you for RSVPing for Awaken Love. We look forward to celebrating the Caritas LoooOooove with you!